Lady Labyrinth (above) was a lovely project to jump-start my year with. 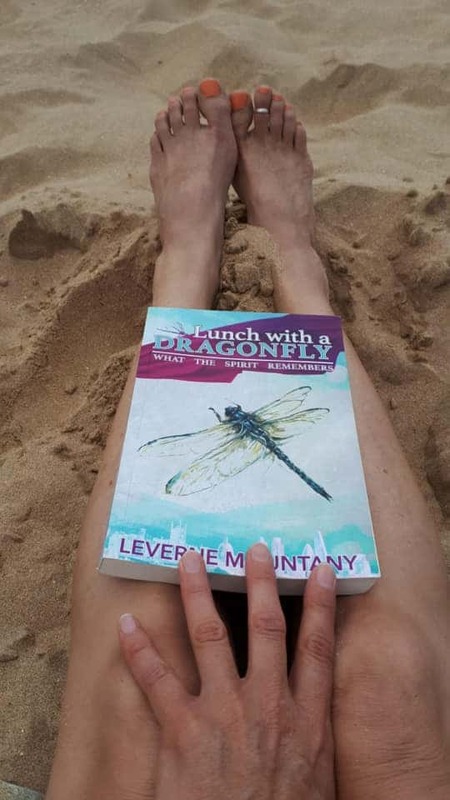 The author of the book: Lunch with a Dragonfly by the psychiatrist Levern Mountany, whom has a Labyrinth at her practice. Click on the link below to explore her connection with Labyrinths. Here I am on the beach reading my copy of Lunch with a dragonfly. 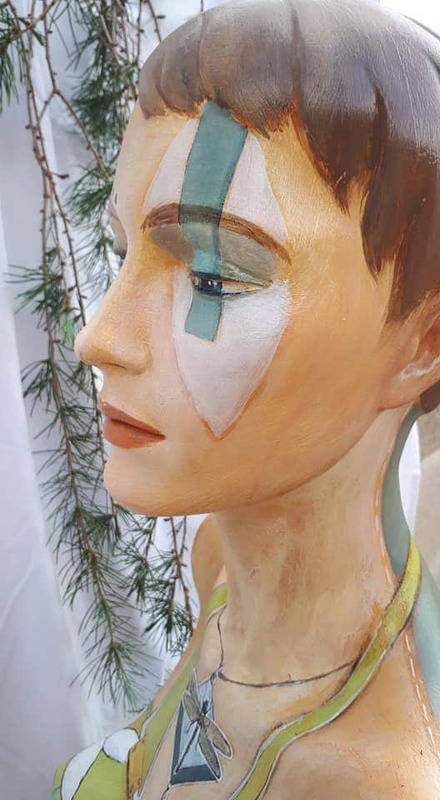 One of my Facebook friends saw the painted mannequin and contacted me and told me she has mannequins she wants to sell. 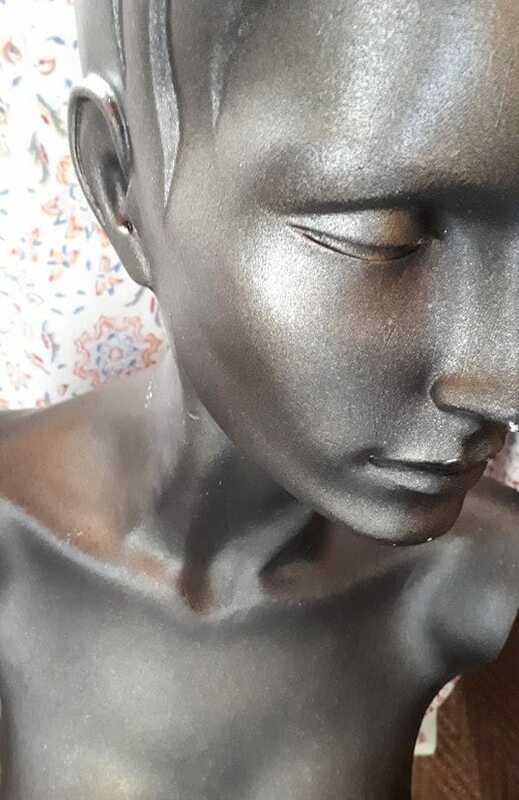 Not long after that, I very excitedly picked up my parcels at the courier, unfortunately, the silver mannequin had to wait for a while and had to be sanded down, before I could lay my hands on her. In the midst of a warm summer evening, through the sweat and imagination of my creator, I had been reborn. From an old, rejected mannequin she transformed me and commended me Lady Labyrinth. She dressed me in florals in celebration of the spring of my life, and around my neck, she hung a dragonfly to bless me with knowledge and the power to adapt. A blessing which I would pass along to you. In spite of my background of “rejection”, I was placed in this artists care and she put time and energy into my ‘reincarnation’, thus I am a symbol of change for the better, a symbol of growth and hope. Upon my core, she formed a labyrinth, a birthing womb of a goddess, and symbol of self-integration. 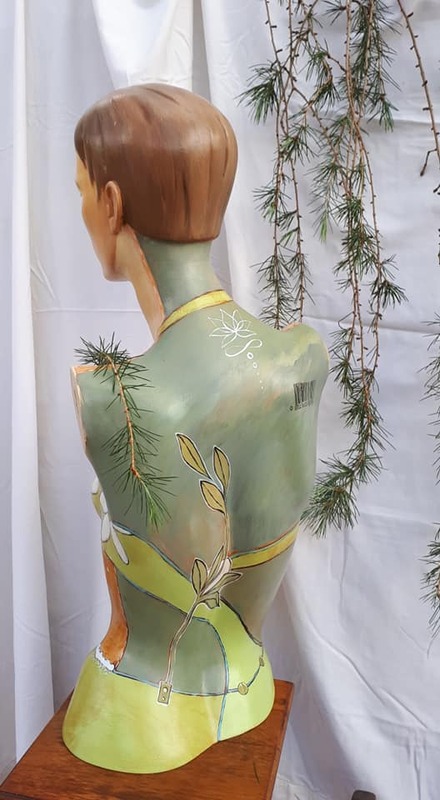 My back, shaded with teal has been placed as an emphasis on women’s godly duty of caring, creating and healing the space around them. The lotus flower on my upper back connects to this in the way that it is symbolic of purity and patience. I, Lady Labyrinth, have been created in celebration of women, and as a symbol of all things pure and wonderful. For the sake of interest, I will add a link to a website where you can read more about the symbolism of the Lotus Flower. 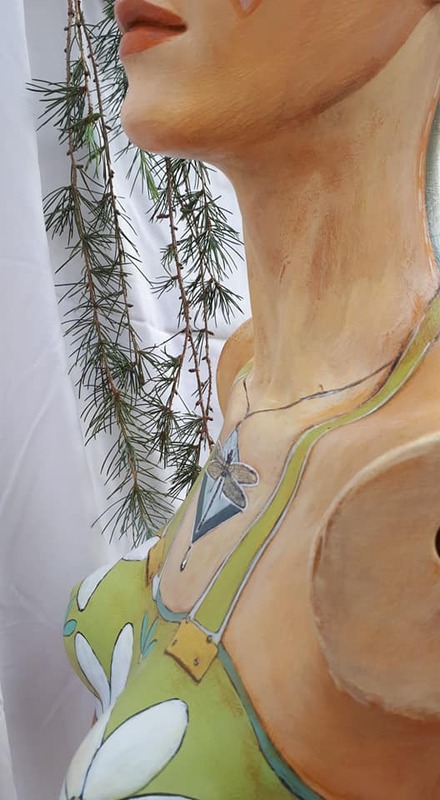 Before I end off this post, I want to add an image of a bust of a mannequin I did a while ago. And from me and Lady Labyrinth, we wish you well! I would love to know which of the three Mannequins are your favorite? 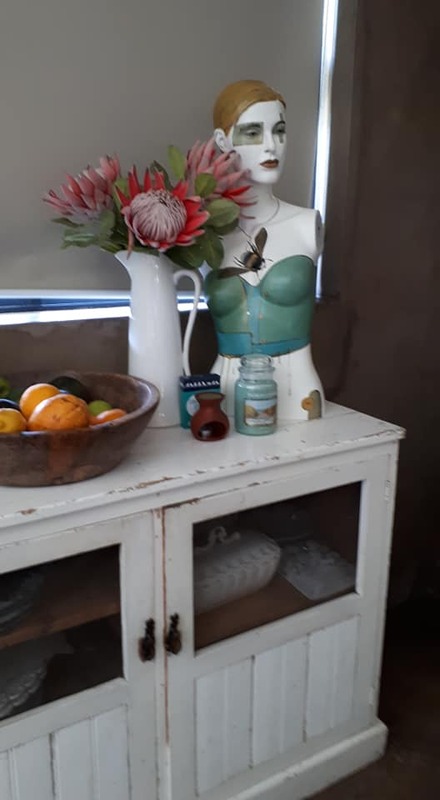 Posted in Blog and tagged Mariaan Kotze, creative, artist, art project, dragonfly, vintage, mannequin, Decor Item, Decor, Mannequin Art, Painted Mannequin, Symbolism Dragonfly, Lotus Flower, Labyrinth, Art on objects.